Between our owner and foreman, we have over 50 years of combined experience as roofing contractors in the Alliston, ON area. When you are looking for roofing contractors in the Alliston, ON area, there are three traits that should be important to you: honesty, experience and professionalism. We are proud to say that, at Slippery Slope Roofing, you will find all three and even more cause to choose us as your roofing contractors. Honesty – We care about our community and its citizens, and we want to continue to provide excellent service for many years to come. That wouldn’t be possible if we did not uphold the highest of respect for our customers. We will treat you better than any other roofing contractors out there and provide honest solutions to your roofing concerns. We’ll always give you total honestly about whether your roof can be repaired or it would serve you better to have it replaced. It is not about what puts the most in our pocket, but what keeps the most in yours in the long run. Experience – Between our owner and foreman, we have over 50 years of combined experience as roofing contractors. That puts us in the unique position of knowing the history of the industry, as well as having insight into where it is headed. We know what products out there are going to hold up rather than just be a fad that fails far sooner than they claim. We offer tried and true solutions to solving your roofing needs, while keeping up with quality new developments. 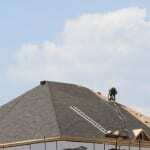 Professionalism – For us, professionalism as roofing contractors means putting your job first. We do that by working on your roof, and only your roof, until it is completed to your 100% satisfaction. We don’t jump on multiple jobs in a day, hoping nobody notices we weren’t there all day long. You get peace of mind that we’re there to answer questions and give you the specialized attention you deserve. By focusing on your roof, we avoid delays so you can get on with your life without dealing with roofing contractors underfoot and overhead. When you want to be able to count on honesty, experience and professionalism from roofing contractors, we truly are your best choice. Give us a call to schedule an inspection and quote for your roofing repair, installation or other roofing need in Alliston. As always, there is never a charge to get a quote.